Sierra Oil Ltd. specializes in the trade and supply of high-quality equipment for the oil and gas industry. Established in 2014, Sierra Oil is the exclusive agent and representative for several world-class European manufacturers in the MENA and CIS regions. We represent plants that have extensive manufacturing experience across all our products’ categories and own advanced production facilities and hold the highest international standards including ASTM, API, ASME, DIN, NACE, BS, NF, UNI, JIS and Gost. Today, Sierra Oil Ltd. is a trusted business partner with far-reaching business operations expanding over three continents and excellent credibility in the local, regional and international market. Design creates culture. Culture shapes values. Values determine the future. We are dedicated to bringing integral solutions for energy providers and end users. 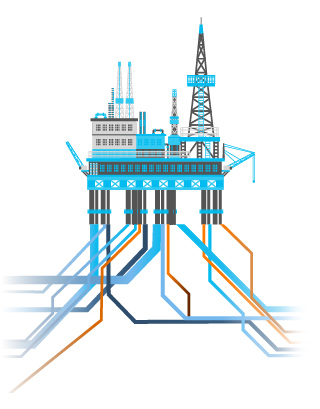 Tecnel for Oil Services is committed to connect its clients with world-class manufacturers.